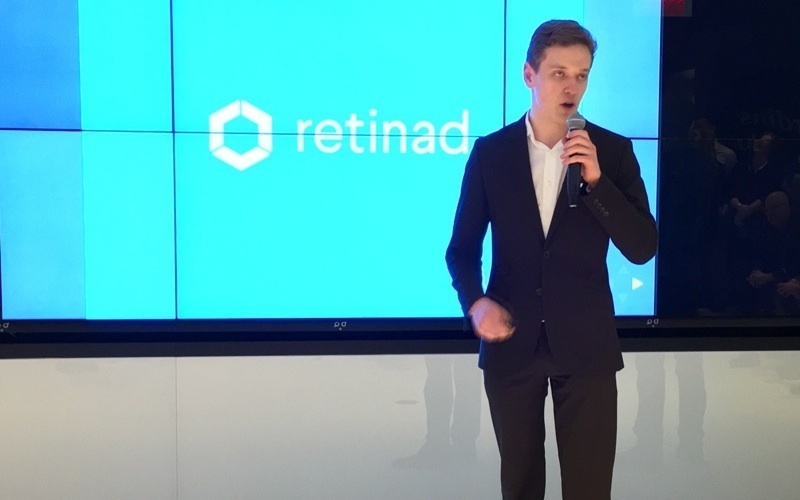 There’s no better place to start our series on entrepreneurs under 25 than the co-founders of Retinad, a pioneer in the virtual reality analytics. Samuel F. Poirier and Anthony Guay started their first companies long before ‘startup’ became a buzzword; if you had asked them at the time, they would have just called them businesses. Both raised in Quebec, both autodidacts who found learning more productive outside of a university setting, and both ambitious from an impressively young age, Poirier and Guay stand out in a city increasingly renowned for its proliferation of entrepreneurs. The two met long before they became business partners, although they debate good-naturedly about the exact timeframe. “We were the only two people under 30 and the only ones not trying to sell accounting services. So we talked and became friends. That’s how you should start, you should start a business with someone you know well,” Guay continued. “Because splitting a business is more expensive than a divorce,” adds Poirier. Both of them will tell you it’s curiosity that led them into business, and from one venture to the next. “Honestly, I was a weird kid because I would be obsessed by a lot of things growing up,” said Poirier. Whether it was a phase about mushrooms, the pancreas, or space, he was driven to learn everything possible about his current interest. That’s what led him to his first venture; he developed an interest in gemology at 12 or 13 and become an avid collector and trader when he realized he was making a profit margin. Guay dropped out of school to start an app agency after teaching himself everything during a break from school. Neither spent much time in university, due in part to its rigidity and inability to evolve fast enough, and in part because one would be hard pressed to find any cookie-cutter program able to keep up with their didacticism. “For our type of job, where you’ve always got to learn something new, technology and business are always evolving. It’s an art, not a science. You have to surround yourself and learn by yourself,” said Guay. The first time the pair collaborated was on Brainer, a cross between gambling and trivia crack. It was after Poirier helped fund the kickstarter for DKI, the first Oculus, and tested out the prototype, and a new obsession was born. “It was barely holding together, you could almost see ducktape on there. I bought it because I was pissed I couldn’t go to Mars so I wanted to simulate it. So i bought the headset and I just fell in love with it honestly.” Poirier showed the prototype to Guay, and a period of intense market research began. “There was nothing that already existed in other platforms, like advertising, like analytics, like supporting platforms that allow you to build on top of that. There was nothing. It was the wild west,” said Guay. Realizing VR would only succeed if there was enough content for people to buy the headset, they created a platform able to sustain developers through ad and content creation. Retinad was born at the end of the summer in 2014. 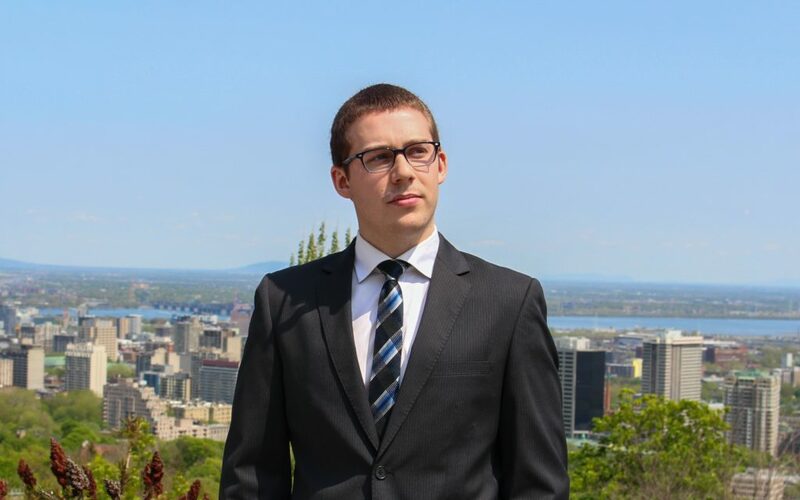 Since then, Poirier has been named the first francophone Thiel fellow, the prestigious scholarship that awards $100,000 to young entrepreneurs to drop out of school and start a venture. And Retinad has become the market leader in VR analytics, helping developers creating VR apps better understand and measure how users interact with their apps. “I think I always kind of knew [I had to be an entrepreneur], but never consciously. I always did stuff that involved building something and, trying to see if it fits a need for people. I’ve always built stuff for fun for myself, did projects that were not expected of me but that I wanted to do, and that did something for people. And that’s the basis,” said Guay.